The Kick-off meeting of “TRANSTOWORK” project occorre on 27th-28th November 2017, in Bologna. 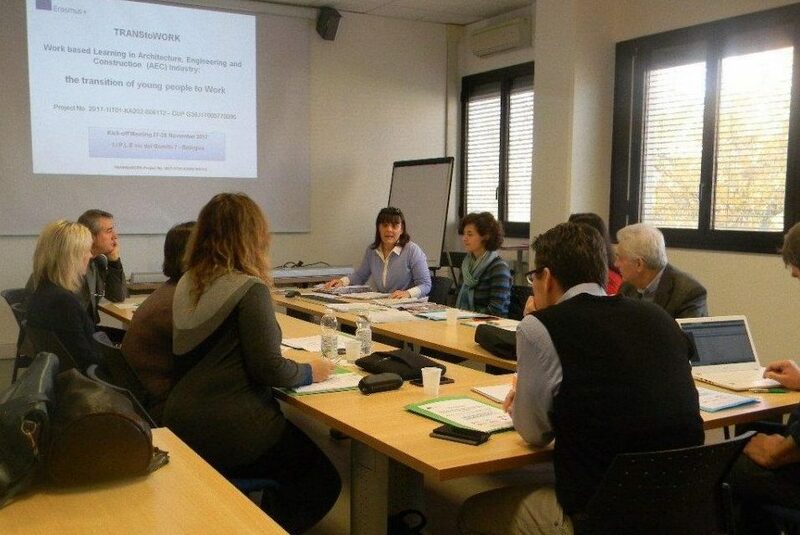 This meeting had the participation of Fundación Laboral de la Construcción (España), Vilniaus Statybininku RengimoCentras -VSRC- (Lituania), IRES Emilia Romagna (Italia), Centro ricerche Documentazione Studi economico-sociali -CDS- (Italia) and : Istituto per l'Istruzione Professionale dei Lavoratori Edili della Provincia di Bologna -IIPLE- (Italia). For the first time the consortium of the project was joined in person, for two full days of collaborative work and exchange of ideas between the all partners.